I had the pleasure of interviewing Ryan Brown. 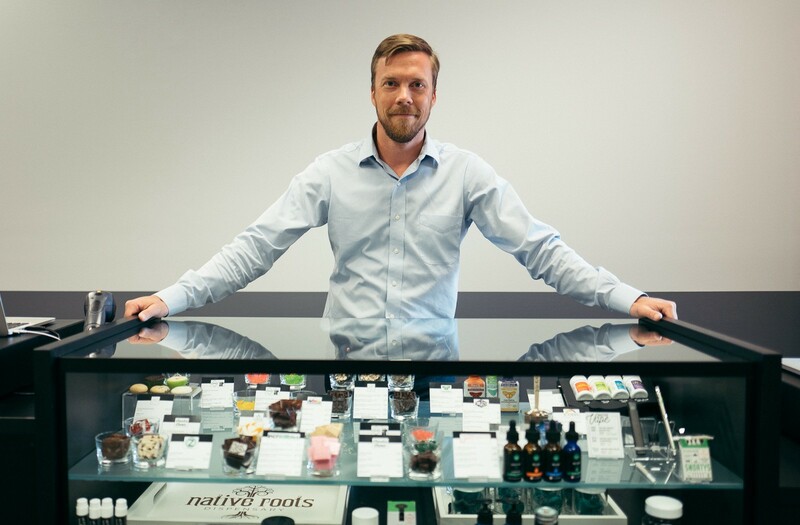 Ryan is the CEO of Native Roots, one of the world’s largest cannabis companies, operating 20 retail locations across Colorado and currently the only US cannabis company awarded a license to open retail dispensaries in Canada. He is responsible for the entire vertically integrated company including cultivation and harvest, product manufacturing and retail. 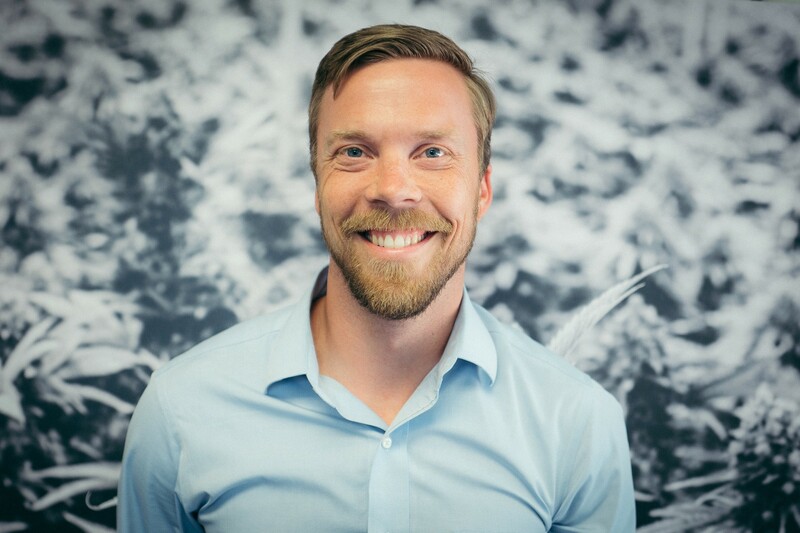 He moved to Colorado as a child and came to the cannabis industry from the consulting world, leading business strategy and implementation for major clients in healthcare, education, construction and utilities. I didn’t intend to get into the cannabis industry. As it happens it was a hard choice to make. I was working in Denver in business consulting for RevGen Partners and successfully moving up in the company to higher leadership positions. I thought I was well on my way to the career I had planned and happy with the progress. I had long-time friends from high school that had jumped into the cannabis business as it started in Colorado in 2009 and occasionally we would meet over a beer to share what was going on with our lives and careers. During those days, I might mention a business solution to consider if they were talking about a challenge. A year after adult-use had been legalized in 2014, my friends came to me and asked if I would join them at Native Roots. The business was growing, they had an influx of private investment and they recognized the need for business skills and a background outside of cannabis. It took me a while to consider whether to take the leap. At the time it felt as though it was such a risky industry and I felt like there was a lot I could be giving up on the path in front of me. One of the things I liked most about working in consulting was the constant change and challenge of the unknown and ambiguous situations I could find each day as I moved from client to client and project to project. Though as I continued to look at the opportunity, I was excited about the chance to walk into a totally unknown environment with rules yet to be written. The entire business was growing faster than they had people and processes in place to handle and it felt like an opportunity to form unmolded clay. I took the chance and came to Native Roots first as the Chief Revenue Officer in 2016 and transitioned to lead the company as CEO in 2017. As it has turned out it was a great decision. I work in cannabis so there are tons of funny and interesting stories daily. One of the most telling however, happened the week before I started with the company. Prior to starting at Native Roots I had not had any exposure to the actual business when I was invited to attend the upcoming company party without knowing anything about the organization’s culture. I was expecting the typical company party where there is food with mixing and mingling. My only context to these types of “events” included some inspirational speeches, sharing of company performance, and perhaps some mild mixing and mingling. With that frame of reference, I attended the company party assuming all would be as it had been in my prior jobs. Perhaps I should have known this was absolutely not like any company party I had ever attended, when I found out the party venue was a local concert space Cervantes and key members of the band Jurassic 5 were playing. Needless to say, the company party was truly that. A party. The owner/founders got up to speak but said less than five words in the middle and then the party continued. That really hit it home that this was a very different industry without suits and ties or corporate structures in place but also without the confines of the past. We could invent the new way to do things because there really wasn’t a history or outdated paradigm to fight against. The party was a preview of how different this was really going to be and how much making sure the environment was fun to work at is just as critical as achieving business objectives. From there we actually formalized Fun as one of our Native Roots company values and it plays a role in how we run the organization and how we interact with our patients and customers every day. People need to understand the goals and purpose of the company as a whole and the way their efforts fit into driving forward toward those goals. They need to know, “What’s our North Star.” Often in my career I have seen “direction givers” who assume that nothing beyond the task needs to be communicated. I have never once seen that be a successful way to communicate and inspire people to effectively engage together. Additionally, goals built in isolation don’t work. At Native Roots, we are a compex vertically integrated company and have even more need to be aligned. Therefore, goals should be built cross-functionally with teams working together to support the departmental efforts so the overall company objectives can be achieved. Retail needs marketing support to succeed; supply chain requires help from retail; production needs interaction with marketing and retail; and so on throughout the entire organization. If those teams build goals independently and “assume” that they are aligned on where they are headed we can guarantee issues to come! Each of the teams also need to align tactically on what’s important, who is doing what and how to measure the effort and identify success. To make this whole effort work and to really tie people effectively together they need to be empowered. They can’t wait for direction to determine what is best to do in every situation. That is too slow and essentially ensures that teams will break down when trying to collaborate. Bring people together, set clear purpose and vision and empower them to work as a team to deliver great work and make decisions along the way and all will go well! Native Roots is in the process of living those lessons as we expand into Canada and other states. What we do know is creating unified company focus while being culturally relevant is going to be the biggest challenge as well as the most important effort to accomplish. To do so we both need to understand where are we trying to go as a company and what does each community want us to deliver. 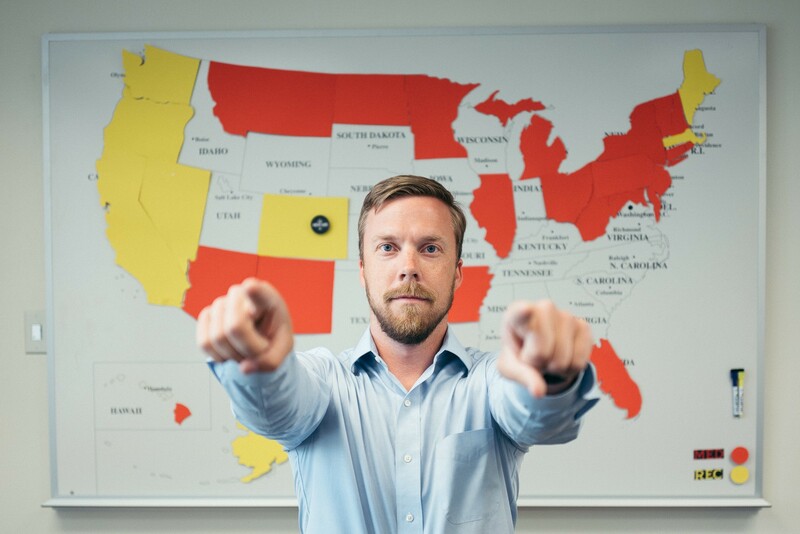 Since much of our leadership team is centered in Colorado, it is critical that we make sure we don’t ignore the audience, stakeholders and customers outside of our home turf. To do so would mean that we will likely lose the trust of our staff outside of Colorado, which will ultimately cause us to lose the trust of customers in those markets. Communication and sensitivity to the fact that things will be different in each new location needs to inform decision-making. We need to share our corporate culture with room for the uniqueness of the new personality of each market and culture. Many CEOs and Founders come to their role with a strong vision of the company, the goals and the path to success. That vision can be both a blessing and a curse because it can lock a leader into a narrow concept and confirm to them that they are the only person qualified to understand what the customer is looking for and how to deliver on that desire. In essence the desire to always control the direction down to the minute details starts out beneficial as the organization has little to no momentum. As the organization builds a team, culture and capabilities the CEO and Founder needs to recognize that they hired individuals for a reason and not assume that their approach is always the best approach. Failure to recognize that and to empower great people along the way can actually slow things down and create barriers to success. Sometimes you need to let go of your envisioned perfect path and give teams the ability to help steer the ship. If you can help your people understand your vision, you can give them the freedom to execute and potentially improve the results. It can be hard but remember that you hired these people for a reason. They are good in areas where you aren’t necessarily an expert. Be ok with the fact that you don’t know everything. I find that to be a true statement and it runs both ways. People can choose to stay because of management as well. The first step in retaining talent is having a culture that enables people to enjoy their work. Then, hiring the right people to that culture and into the right roles is the next critical step. Hiring the wrong people can mean retention of staff is either impossible or can be a barrier to growing as an organization. Track and monitor the turnover and performance of individual teams. If there is high turnover on one team, but not others, there is an issue there and likely that leader needs coaching, mentoring, learning, or perhaps is not the right person for the role. Truly care about their career objectives and if that means leaving your team, help them find the right team! If that means leaving the company, help them leave the company! Providing guidance and coaching can also mean that you are tied to their career goals and if those are not aligned with your objectives for the role at hand then that person will never be as successful as you would hope. Finally, it can be real easy as a leader or manager to disengage from the work the team actually does. Make sure you have ways to get that experience first-hand from time to time. That will provide you a true window into what your staff’s time is spent doing, what challenges they are experiencing and create empathy that will only help you ensure that barriers to success are removed and trust is further deepened. a. This may sound simple, and truly it is. In today’s hyper mobile workforce that is extremely technology enabled, it can be easy to rely on tech updates, online management tools and chat rooms to manage a team. In my experience those things work great, to a point. If all that was required to enable successful completion of work was to care only about the work and not about the people that is all you would need! However, employees are people with social and family lives and though nobody wishes it was the case, those other aspects of team members lives have a huge impact on how someone performs at work. I have had more than one occasion in my career where I was frustrated with someone’s efforts at the office and made internal judgements about what was causing those results. In those situations I found myself making judgements on why their work was suffering until finally sitting down for a more expansive discussion around performance and learning that a significant challenge had arisen outside of work, which was consuming their thoughts and emotional energy. Those conversations inevitably lead to reallocation of projects to allow that person the space to address their personal challenges, and still solve the challenge at work. Without a face to face conversation that expands beyond work you never get to those insights. a. So often in my career I have seen leaders treat their staff as though they were college pupils receiving lecture in a hall with 200 other students. Everyone receives the same content, delivered the same way, with the same amount of time provided to each person on each topic. However, we know in education that students learn in all sorts of ways. Some are visual, some auditory, some need to read/write about the subject and still others need to have hands on experience for it to be real. Why would team members be different? In order to maximize the relationship with a new team member one of the first steps that needs to be taken is determining how that relationship will work and what type of management works or doesn’t for that individual. Without that understanding you may hold your bi-weekly one-on-one meetings only to determine that the individual works far more effectively with smaller more frequent conversations that actually save you both time and provide better support on their work. Additionally, taking the time to ask those questions builds trust necessary for an effective working relationship moving forward. a. Goal setting is an old art with myriad strategies and tools that are used to execute on it. Native Roots has tried out several of the different approaches and as we mature we are maturing our approach as well. In my prior experience, goal setting was largely a top down endeavor, with little attention or time put toward engaging with the team themselves to calibrate and determine the right areas on which to focus. While the company vision and purpose will absolutely steer the goal setting activities, the staff themselves actually make the work happen. Until this year our goal setting program at Native Roots relied on largely top down goal creation. The challenge we would run into is below our senior leaders there was rarely much engagement in the goals themselves, which led to marginal buy-in and made the heavy lifting of achieving great things all the harder. From that experience we have adapted our approach to engage with teams earlier to build company and department level goals that are created in a more agile way. The buy-in through this new process to date has been positive. Teams have greater buy-in on the goals and thereby holding teams accountable to achieving those goals is actually easier as they helped to author them! a. Trying to achieve big things inevitably leads to some things not going according to plan. It can become extremely easy to automatically point at the accountable party and blame them for the failure. While I am absolutely an advocate of individual accountability, it is equally important to do the hard work of determining “why” something didn’t go according to plan. We had a product launch at Native Roots that didn’t go well in the past 12 months. We tested the product, received glowing feedback, thought we had the pricing and customer value proposition dialed, but sold little of the product a month into the launch. The gut reaction we had as an organization was to point to our product lead as the culprit behind the failure. Instead of doing that, we dove deeply into the organization and with the customer to determine what wasn’t working. What we learned was the product was still liked by the customers, but we had overlooked the critical act of making sure our retail staff fully understood the product and had bought-in to how we positioned it. That led our staff to refer customers to a different product they had more experience with at the expense of our new product. In the end we had the opportunity to correct the issue and had we not explored the “why” of the failure rather than just get angry at the product team we would never have resolved the fundamental issues. a. This is a lesson that I continue to learn throughout my career. You hire great people to do a job that you envision that you need and in the end find a qualified candidate. Then you proceed to tell them where to focus and how to do their job. Since you are seeing the needed scope to get done and have perceptions on how that will get done it can be a challenge to let someone else find a better way forward, or perhaps to let them realize that what you envisioned for them is not as important as some other efforts that have a greater impact. I experienced this recently with the hiring of some new finance team members as we had some turnover in that department. With the new Finance leader I was quick to point out my priorities for modified reporting and some other items. After a few weeks of driving that team to deliver my new reporting needs, I finally realized I was not allowing them to do the critical work that would enable the new reporting and other issues to be addressed. After letting them help me understand what direction they thought made sense and how that would ultimately address my needs, I stopped pushing in another direction and allowed them to direct the work. Ultimately they got the work done they needed, I got better reporting and we addressed some challenges of which I wasn’t even aware. This is an excellent question and one that I think about often. In my life and in my career I have sought out opportunities to engage with underprivileged communities and to be of service. I think that is critical not only as an individual but as an organization. And while I think that is extremely important, perhaps the biggest way to make an impact to a neighborhood, community, or society as a is to try and intentionally walk a mile in the shoes of those you either don’t agree with or don’t understand. We live today in an incredibly divisive society where we have retreated to our own personal echo chambers believing the alternative perspective is at best wrong and at worst dangerous. The truth is in most situations our values align and the differences between people and communities is not great. To overcome that difference, I think people should actively seek out the opportunity to share a meal with someone with whom they would otherwise have differing political, social or ideological ideals. It is hard not to gain both understanding and empathy after sharing a meal. I have a favorite quote from Supreme Court Justice Hugo Black, “Just remember we are all boys grown tall.” Though I can’t claim to align with all of Justice Black’s philosophies, what I love about this quote is it causes us to remember that regardless of title, rank, or position in life, we all started from the same place (male or female). This quote to me is a reminder that anyone in an organization can be as impactful and contribute as much as the CEO and should not be neglected, forgotten, or ignored.